NAIROBI (HAN) September 19.2016. Public Diplomacy & Regional Security News.By Kevin J Kelley. Contrasting approaches to United States relations with Eritrea – and by extension with the entire Horn of Africa – were presented last week to the US Congress. 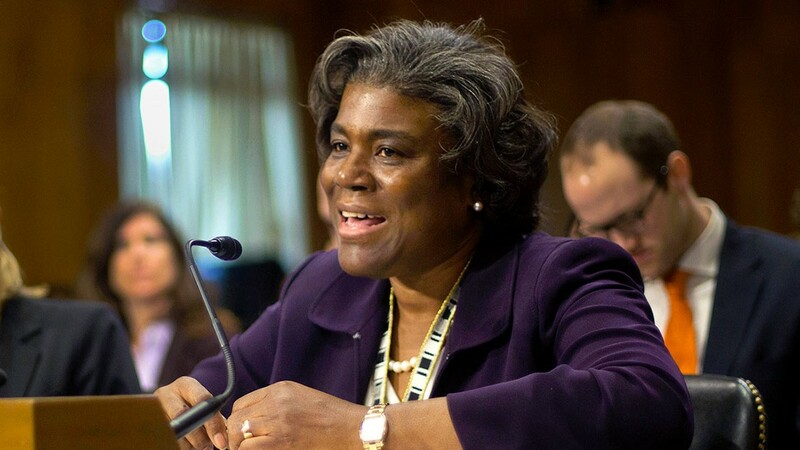 Repairing the broken links between Washington and Asmara will not be possible unless the Eritrean government halts its systematic violations of human rights, the assistant Secretary of State for African Affairs Linda Thomas-Greenfield, told a US House panel. Ms Bruton based her assessment of US policy partly on her meeting last year with President Isais Afwerki, and her talks with European, US and United Nations diplomats as well as human rights researchers and members of the Eritrean diaspora. President Afwerki, however, regards an end to UN sanctions against Eritrea as “a precondition of any serious effort to improve relations between the two countries,” a Washington think tank analyst told the same panel. “President Isais’ regime ordered the US Agency for International Development to leave Eritrea in 2005, along with other donors and international NGOs,” she recalled. While Ms Thomas-Greenfield acknowledged that the Eritrean government had made “limited” progress in addressing US concerns, she said that major improvements were needed in Eritrea’s human rights record before the US could adopt a friendlier posture. “International depictions of the country as a spoiler in the Horn “have seemed overblown for years,” Ms Bruton said, pointing to recent UN monitoring reports that found no evidence of continuing Eritrean support for the Islamist militant group Al Shabaab. There is no longer a basis for the arms embargo and financial sanctions that the UN Security Council imposed on Eritrea in 2009, she suggested.